DMC David Barrett gives his top 10 venues for business events. This list is as independent, honest and current as we can make it. Of course, you’re also welcome to disagree with it. It wouldn’t be any fun making a Top 10 list if everyone agreed with it. The following resources are listed in no specific ranking. All deserve to take the top spot. New kid on the block and slap-bang in the city centre, atop the high-end Central Embassy shopping mall, is Park Hyatt Bangkok. An iconic architectural landmark, the hotel offers 22 contemporary guest rooms. Above the 32 premier suites on the 34th to 36th floors, step outside to the rooftop terrace for spectacular views of the city. This hotel makes the listing as it features a modern and elegant 540 square-metre ballroom, accessed by a large spiral staircase. The ballroom is complemented by 12 residential-styled smaller meeting spaces. Receiving global recognition for exceptional hospitality, this mammoth of Bangkok’s riverside MICE hotels has 802 guest rooms over two connecting riverfront towers. The Shangri-La wing with its giant chandeliered lobby and rooms furnished in contemporary Thai style and the Khrungthep wing which offers a plusher more refined, classic Siam ambience, have been, and remain, a winner for MICE groups. The slightly curved Grand Ballroom, one of the largest in the city and top place for space at the river, covers 1360 square metres, divisible into three, while smaller gatherings have choices of 19 function rooms. Travelling along Bangkok’s river of kings, blink and you’ll miss it. The Siam is an unimposing riverside hotel worthy of a top spot. Owned by a Thai rock star and new generation in a Thai family-run hotel dynasty, this 28 suite and villa hotel is crammed with beautiful antiques, object d’art and quirky collectibles. Ideal for small executive pow wows on a generous budget, the low-rise city resort is designed by celebrated hotel guru Bill Bensley. The hotel covers three acres and sits on the edge of the historic heart of Bangkok and is far from the madding crowd of the city centre. For the bold and adventurous, guests seeking a lasting memento of their stay can receive a ‘Sak yant’, a sacred Thai tattoo, steeped in Buddhist and Hindu traditions. Top 10 dining within a hotel that’s MICE-friendly is Sra Bua, the Bangkokian sister of Copenhagen’s Michelin-starred Kiin Kiin. The Bangkok restaurant, also carrying the Michelin star, is located in Siam Kempinski and seats 40 or 50 at a squeeze. Groups can embark on ‘The Journey’, a 10 course set menu and experience the kitchen’s playful repertoire that respects traditional Thai flavours and ingredients but flips the norm to produce something creative and original. Chef Henrik from Copenhagen flies in regularly to create seasonal menus that push boundaries in terms of inventiveness. Minimum spend to privatise the place for a MICE dining extravaganza is A$145,000. Off-property riverside dining on Thai star architect Duangrit Bunnag’s family recipes doesn’t get any better than this. With its warehouse vibe and prime riverside location within The Jam Factory complex, housing a gallery space, architect offices and book store, this MICE-friendly venue dishes out hard-to-find Thai dishes and contemporary treats with a twist. The rustic and cozy, airy and sophisticated dining room with its soaring ceiling, and eye-catching open kitchen, can accommodate 120 guests indoors and 70 seats outside at the river facing terrace. The first rooftop restaurant in the city, and still considered to be the best bar and restaurant high up that welcomes groups. At 61 floors above the city you get to feast your eyes across downtown Bangkok while dining on an internationally-inspired surf’n’turf menu. You can reserve a section of the restaurant or the entire venue with advance planning. Minimum spend starts from A$40,000 for a group reservation. Kick off with a sundowner at Moon Bar with a good selection of beers, wines and cocktails, before dining on gourmet international food and stargazing. Being city centre, you’re close to after-dinner entertainment areas. And while there are newer rooftop restaurants in town, Vertigo remains a firm favourite. You’ve landed in Bangkok after a longhaul flight and you’re probably not wishing to step on another plane for a few days. Shake up your off-property program and head on over to Chang Chui Night Market, which is taking Bangkok’s night markets to new heights. At this local-styled night bazaar there’s a nice selection of shopping and dining here, combined with modern, urban and often wacky art pieces, much of them made from recycled and scrap materials. The concept behind the night market is that ‘nothing is useless’ and they’re confident that MICE groups will be deeply impressed by what the artists have managed to create. This is a quirky dining experience located within the Mad Max-styled night market, mostly frequented by Thais and a few local expats in-the-know. Named after a famously banned Thai movie, this small restaurant serves up nourishing dishes infused with insects. Unlike the bug stalls seen around town, serving up fried creepy crawlies, this place has style and the dishes are seriously tasty. For the conservative palate, Spaghetti Carbonara and other pasta dishes taste as good as the best you’ll find in town. You wouldn’t know you were dining on insects if you weren’t told. Being in the night market, you have the surrounding attractions to entertain guests before or after dinner. MICE friendly and open to private hire, customised menus and the backstory of dining on insects, makes this one of the more unusual off-property dining experiences. CSR and eco-conscious corporates head on over to Sampran Riverside, a family run tourism attraction located at the neighbouring province of Nakhon Pathom. Formerly known as The Rose Garden, the popular countryside MICE venue has been welcoming MICE groups since 1962. Under the new, and third generation of the family management, the venue has reinvented itself as an eco-cultural destination. Mr Arrut Navarat, owner and son of the founder and icon of Thailand’s incentive industry, has transformed the well-known, out-of-town, Thai-themed MICE venue into a movement that is relevant and committed to leading Thailand’s business events industry into a sustainable future. It’s well worth the hour drive to participate in CSR activities with organic farmers and villagers. Our Top 10 MICE resources in Bangkok for 2018 would not be complete without some razzamatazz entertainment. And hitting the high notes for business event groups is Grand Opera Thailand. Bookable for gala dinner, cocktail receptions or a surprise flashmob-styled performance at off-property dining venues, this international opera company, based in Bangkok, is a sure fire winner. 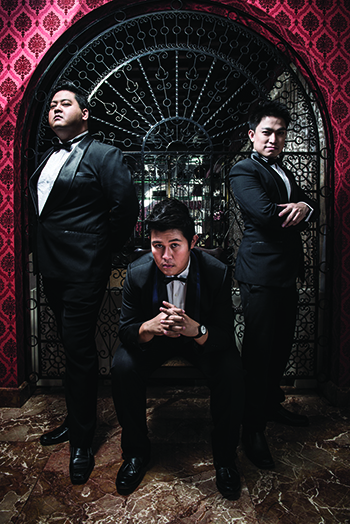 Establish in 2011 by Brit operatic impresario, Stefan Sanchez, who has been grooming Thailand’s young opera singers and launching them on international careers, Grand Opera has been entertaining at corporate events. Contact David Barrett at Premier Incoming Group Services on david@pigsdmc.com.